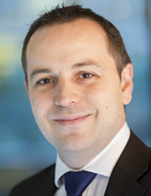 Arnaud Jossien is a Managing Director at BNP Paribas, Corporate Finance EMEA. He has over 19 years of professional experience in both M&A and Equity Capital Markets. Arnaud has been covering the Greek market for more than 10 years, successfully advising numerous clients (corporates, financial investors, State entities) across all sectors; his recent transactions include buy-side mandates in Greece and disposal of Greek subsidiaries in neighboring countries.